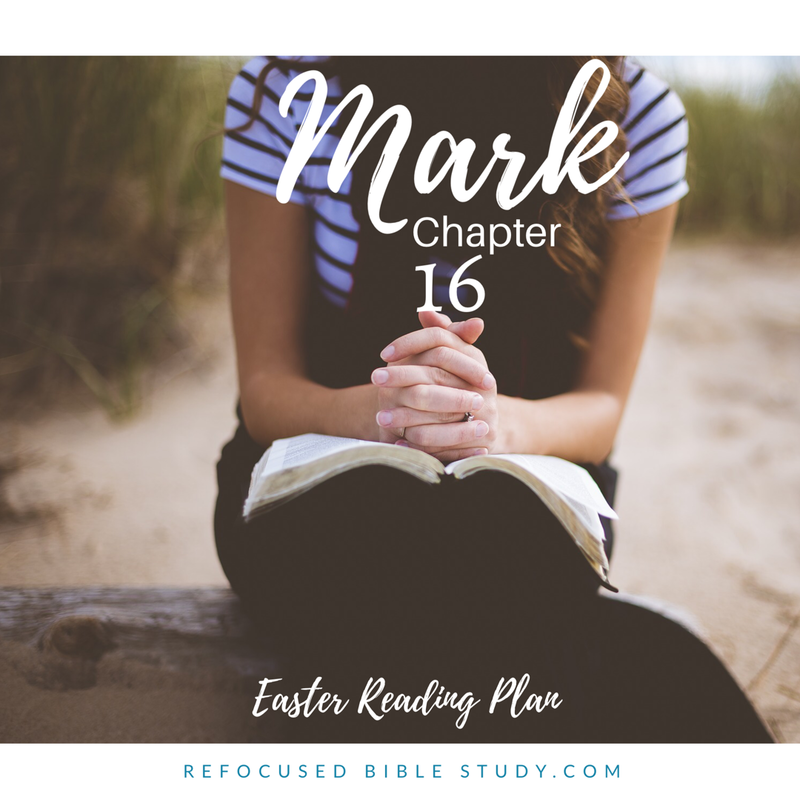 It’s the last day, day sixteen of “Mark, one chapter a day for Easter.” here at Refocused Bible Study. If you missed the details of the study, you can find them here. If you missed out, you can scroll through all my previous posts while le you study on your own. Application: Live like He’s ALIVE and like you’re ALIVE in Him. Don’t live so temporarily. I needed this reminder. I get caught up in today, this week, month, and year. I forget that God has conquered death. But if I keep my eyes fixed on Jesus, and the truth that he is alive, my heart and priorities are going to be set on things that are lasting. Review: Mary Magdalene, Mary mother of James, and Salome went with burial spices to Jesus’ tomb. It was open! The stone was rolled away! An angel was on the right side inside the tomb. He told them not to be alarmed, that Jesus had risen! Kneel in prayer: Almighty Jesus, we praise you for your power that raised you from the dead. Thank you for giving us the same resurrection power (Romans 8:11). 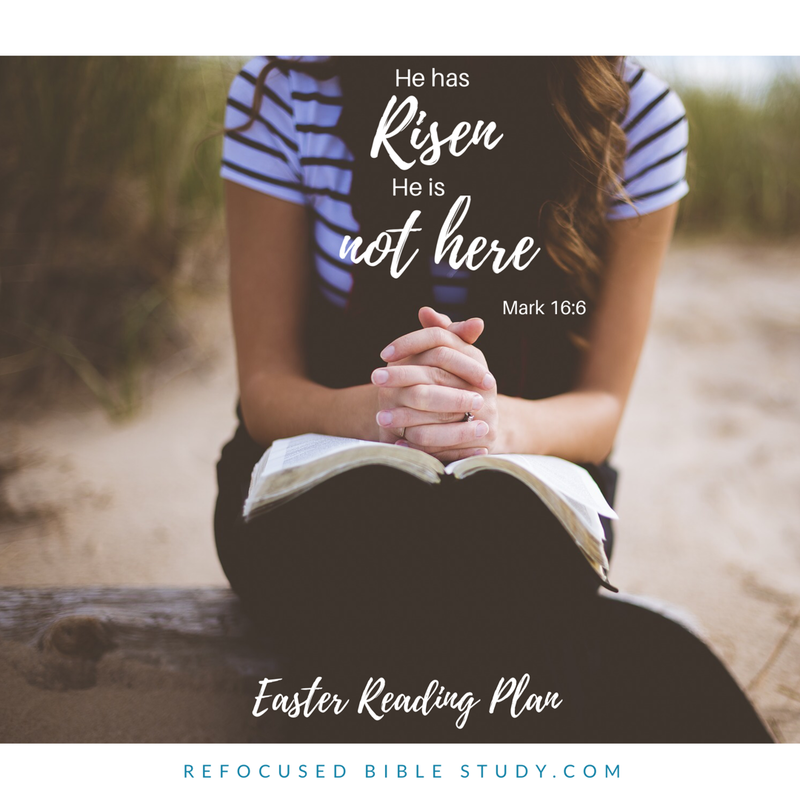 Resurrect dead, locked up parts of our souls and lives that need new life and hope in you. Help us continue to spread your message in love and power. Make us women of your Word, filled with truth and strength from you. In Jesus’ name, Amen! That’s the end of Mark! 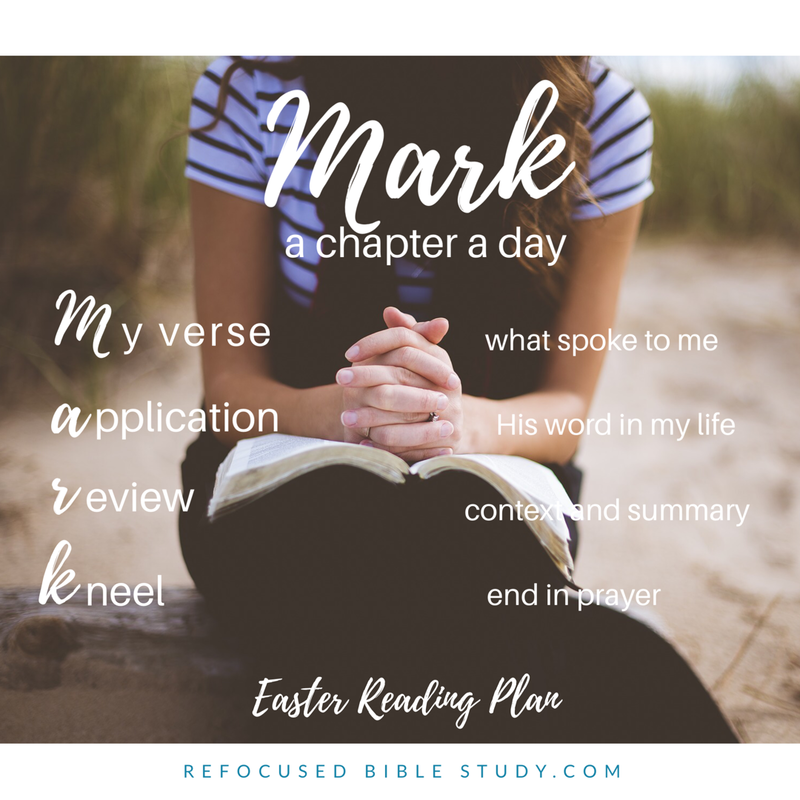 What did God show you through this book? I’ll be announcing soon what’s next!